Join us for an afternoon of #photography, travel and food! Join travel photographer Liz Ranola (@backpackandaway) as she shares travel photography techniques and tips, as well as share experiences on photography. Travelling around Asia, Europe and the US, Liz Rañola has captured many characters and personalities of places and its people with her photographs. Her preferred style of travel is backpacking, some done solo, others walking and taking local transports over tourist buses. Liz currently manages her own photo studio catering weddings and other life events and portraiture. Her #travelphotography and travel articles have been featured in Inquirer Lifestyle and Matador Network. Learn tips and techniques on utilizing natural light and maximizing your camera for best results. Share ideas with fellow photography enthusiasts as we take a short tour at the Flower Farm (with bonus demo planting)! Not only will you learn about taking better photos, you’ll help the environment too. The workshop will end with a sumptuous merienda at Milagros while we have a show and tell of fave photos taken during the afternoon. What time will the workshop start? Workshop will start at 1pm, convening at Milagros. We encourage participants to arrive early so we can start on time. We will give a 15 min grace period for late arrivals before we continue on to the workshop/tour. Participation fee is P1450/pax and includes merienda and tour fee. 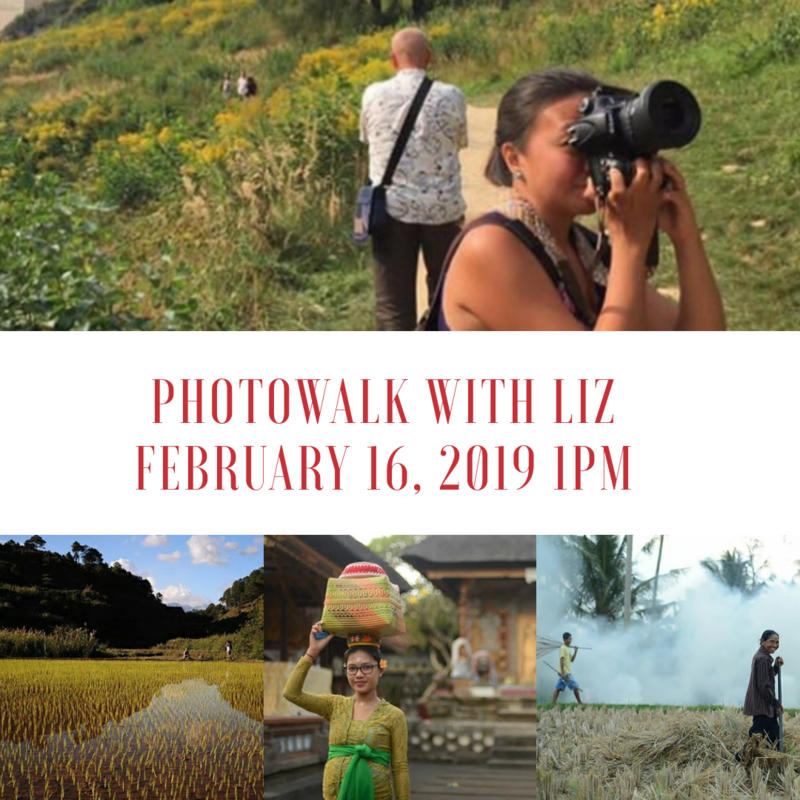 To register or get your slot, please email your full name and contact details (phone, mobile) along with a clear photo of the deposit slip (as proof of payment) (SUBJECT: FEB16PHOTOWALK) to milagroshomecooking@gmail.com. We will respond with an email confirming your slot and also give direction details.